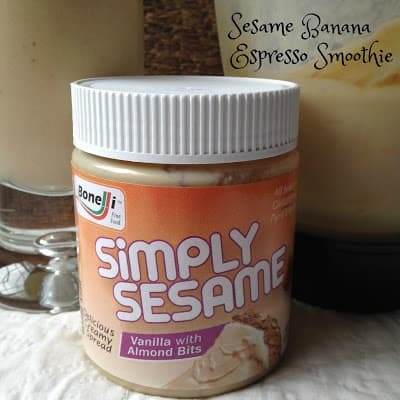 Simply Sesame’s Vanilla with Almond Bites, Simply Sesame’s Pistachio Morsels with a hint of Cardamon and Simply Sesame’s Pure Roasted Sesame. good for you too. If your looking for a different tasting smoothie, give this one a try. It’s absolutely delicious with the addition of Simply Sesame Vanilla with Almond Bits. 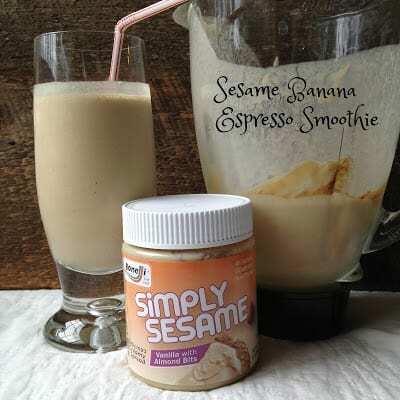 This is our first recipe for “Simple Sesame Blogger Recipe Challenge” This recipe features: Simply Sesame Vanilla with Almond Bites. We went with a smoothie recipe because they are fast, easy and very affordable. 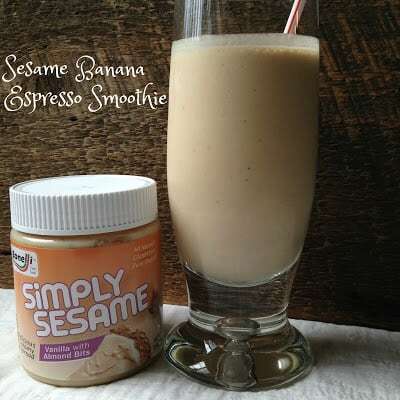 Did I say delicious? 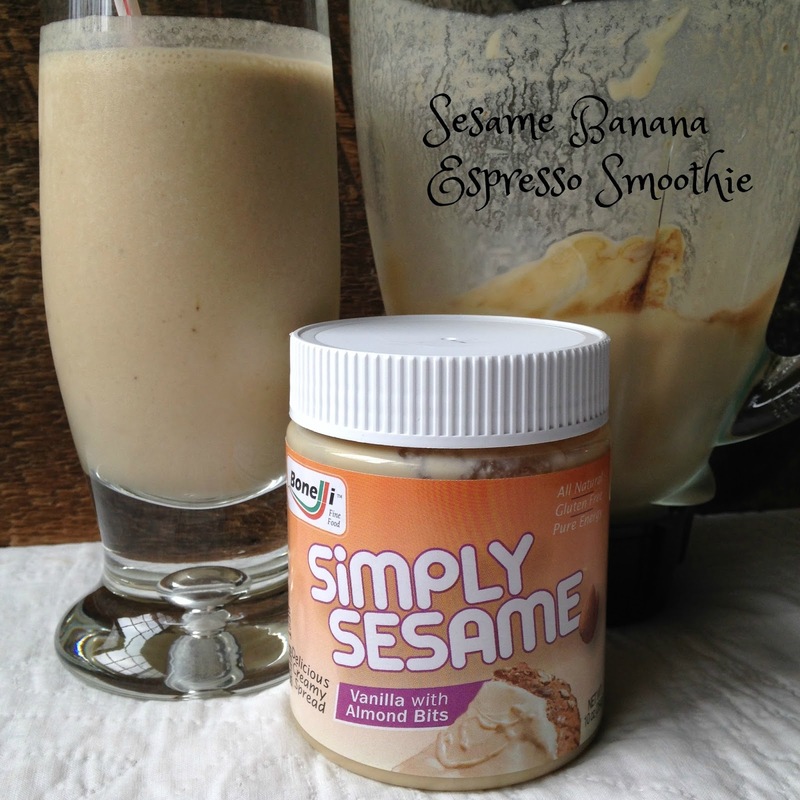 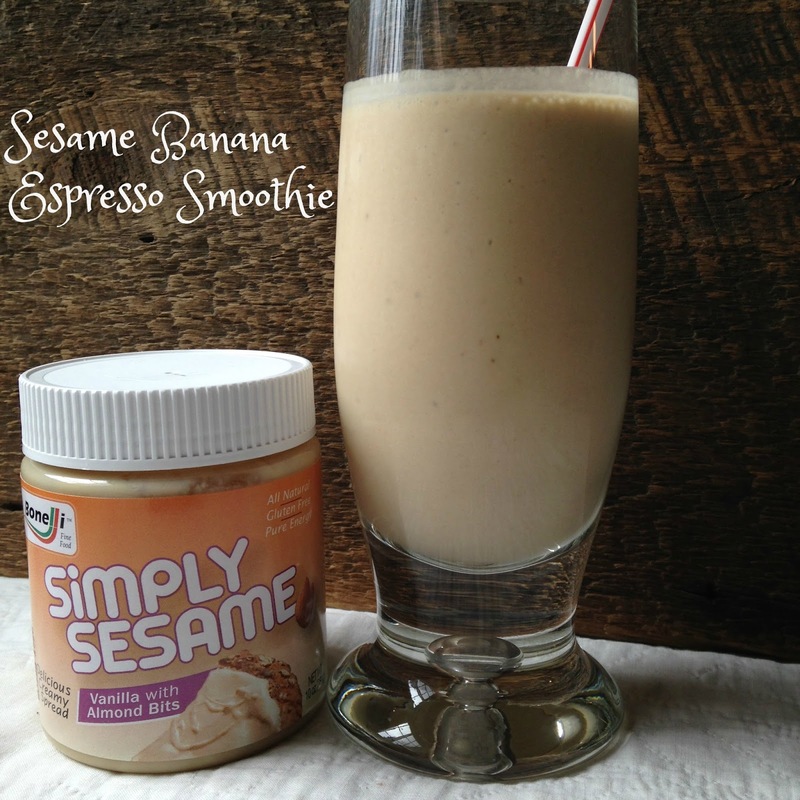 Sesame Banana Espresso Smoothie is the perfect “on-the-go” breakfast and this smoothie is beyond delicious!! 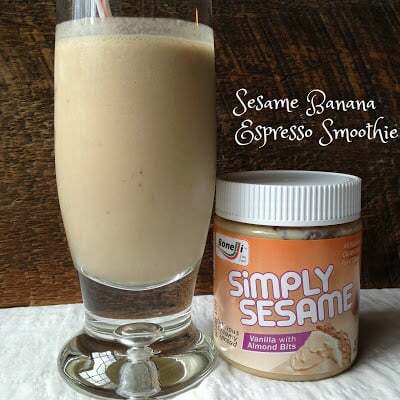 Give it a try. Our next recipe featuring Simply Sesame is a cookie recipe using Simply Sesame’s Pistachio Morsels with a hint of Cardamon. 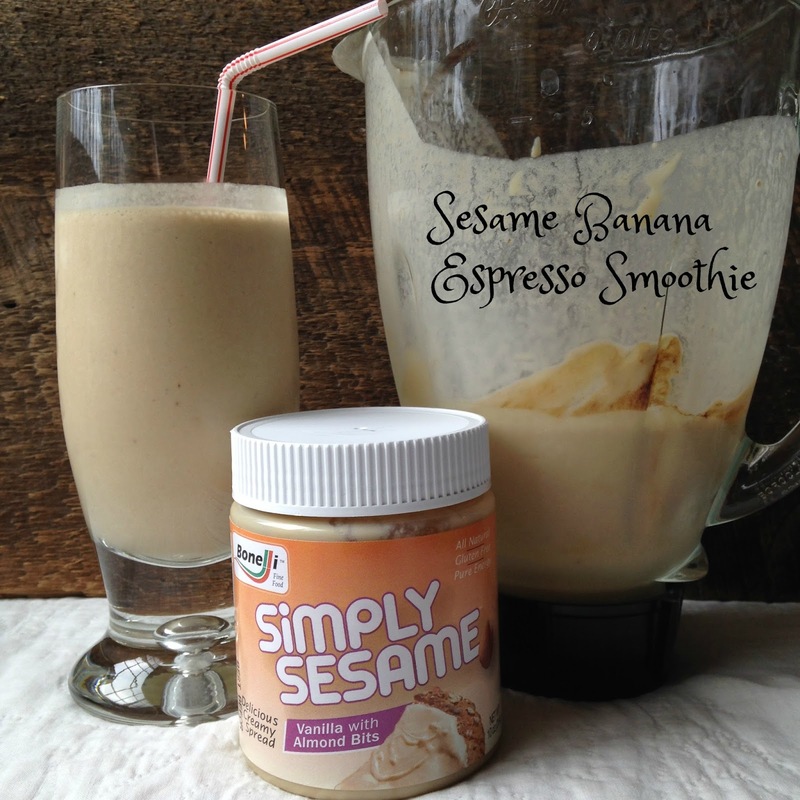 Now on to this smoothie recipe….